Valid till 31 December 2016. Valid on sale items. Brand exclusions apply. Are you looking for vouchers to enjoy an amazing shopping experience with us? You have stopped at the right place as we offer special style treats for our customers to enjoy. We provide you with two types of vouchers to enjoy from a no minimum spend and the other with a minimum spend of RM10 only. Choose the voucher that you prefer and start to shop away at ZALORA. Why pay the full price when you can save a few pennies for your goods by using the voucher codes from ZALORA. With our no minimum spend voucher, you could definitely enjoy a 10 percent discount on the items you add into your cart. However, if you want to enjoy the 15 percent off discount voucher from ZALORA, pick an item over RM10 and apply the voucher code. The best part is these codes are valid on sale items and expires on 31st December 2016. You got a whole year to decide when you want to use the discount code. Brand exclusions apply. SHOP WITH ZALORA VOUCHER CODE TODAY! Men and women can key in the ZALORA voucher codes before checkout to enjoy the treat. No one can ever say no to free voucher right? So why not enjoy the special treat from us anytime you feel like shopping here at ZALORA! Save a little of your money by using ZALORA discount codes and you will absolutely feel satisfied with the reward. 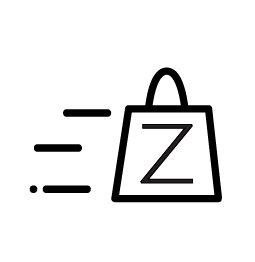 Choose the TREATS10 ZALORA voucher code for a 10% discount with no minimum spend or TREAT15 with a minimum spend of RM10 to shop with ZALORA. ZALORA offers the codes for our customers to feel happy and satisfied with the deals available online. Enjoy either of the 10% off or the 15% off ZALORA voucher codes and start an amazing online shopping with us today! Shop away!